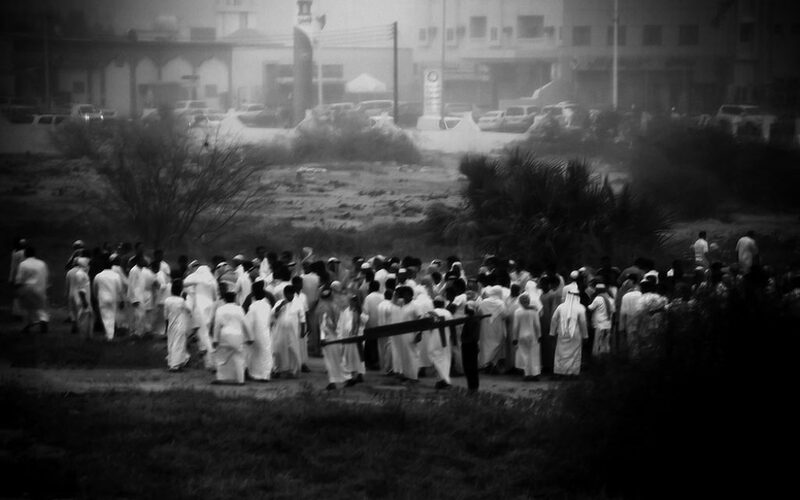 Reem Al-Nasser, Qeyama Series, 2013. Reem al Nasser’s (Saudi Arabia) works are influenced by her personal story and position in society, observing and exploring themes of religious, cultural, social behaviours and beliefs of the people from her community. In her recent works, Reem has been exploring the notion of death as a tactic used by authorities to scare people and the idea of movement and mobility in societies. For six years, Reem has researched the rituals of the burial and grave digging, questioning how would we change if death could be separated from its stereotyped religious and cultural connotations. Reem graduated in Economics at Jazan University in 2011 and is part of Shift exhibition at the Mosaic Rooms (1/7/17 to 2/9/17).